Chances are the first time you went to a scrapbook store you were totally overwhelmed with the number and variety of products available. How do you know which ones you really need? How do you choose the right colors and styles? Well, these basic materials are all you really need to get started with…think of them as the cake if you like– basic ingredients that make the page. Everything else is icing! (and we know how yummy the icing is! But I digress…) So here’s what to buy for your first few pages. 1) Paper – available in 1000’s of colors. Choose a few pieces of solid colored cardstock that pick up some of the colors in the photos you are working with and some patterned paper (also available in a myriad of colors and styles) that coordinates. Choose anything that appeals to you and suits your theme—ie: choosing papers for a page for your baby girl would be very different if you were choosing papers for your nephew’s college graduation. For beginners, a pre-made page kit that includes both solid cardstock and coordinating patterned paper is ideal and takes the guesswork out of trying to match papers up. 2) Adhesive—again there is a wide variety to choose from. I prefer a tape runner style adhesive or photo splits as liquid adhesives and glue sticks have been shown not to hold as well or last as long in the long run. If you are spending this time and energy on creating a page to protect and share your memories, you want to make sure you won’t have to redo it a couple of years later because the adhesive dried up! I like and use Creative Memories adhesives. Make sure whichever brand you choose is labeled as being acid free/photo safe. 3) Cutting tools—you will need something to cut your paper and crop your photos. You can buy personal paper cutters (I like Creative Memories and Fiskars brands), but you can also use an Exacto knife and ruler. Small, sharp scissors will also come in handy for trimming small pieces of paper, embellishments or rough edges. 4) Writing tools—a basic pencil, eraser and ruler will help you organize your journaling, captions and titles on your page. Do all writing on the page lightly with a pencil first to avoid running out of room, and then erase after it has been gone over with a permanent black felt pen. Don’t just grab any old felt marker out of the junk drawer. Make sure your pen is acid free/photo safe, and permanent (will not bleed onto your photos). This will ensure that your stories are preserved as well as your photos for future readers. 5) Embellishments—although not necessary, you may want to add a few little extras to enhance your page—again a pre-made kit that includes papers and matching embellishments is ideal. Or look for stickers or die-cuts that emphasize your theme…they are usually available in small strips or packages that have enough to complete one of two pages. You don’t need many! Stickers have adhesive on them and die-cuts can be attached using the same adhesive you used for your photos and papers. Try to resist purchasing a lot of supplies at once. It is much less confusing to buy a few products that work well together than to buy a hodge-podge of paper and tickers that don’t coordinate– then you’ll probably have to go out to buy MORE stuff that will work with the stuff you already bought! Yikes! Scrapbookers have a way of accumulating lots of products very quickly, so keep on top of yours so you always know what you have to work with and what you might need to purchase next. Have fun shopping! Hi! I'm a wife and mom of two busy boys. I'm am art teacher by day and a crafty homebody by night. I love being at home or at our little cabin in the woods, organizing, crafting, cooking or baking and trying to make the crazy job of being a mom a little more creative and fun. Join me for my adventures in family life! 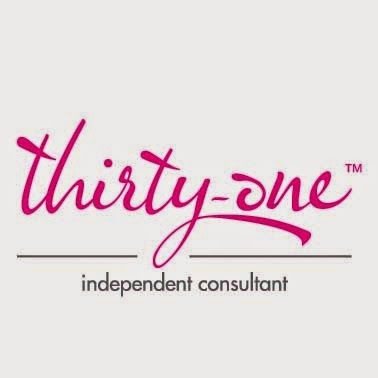 I'm also a Thirty-One Gifts Consultant!